Lorenzen Wright’s ex-wife Sherra Wright has been charged in relation to her husband’s murder. 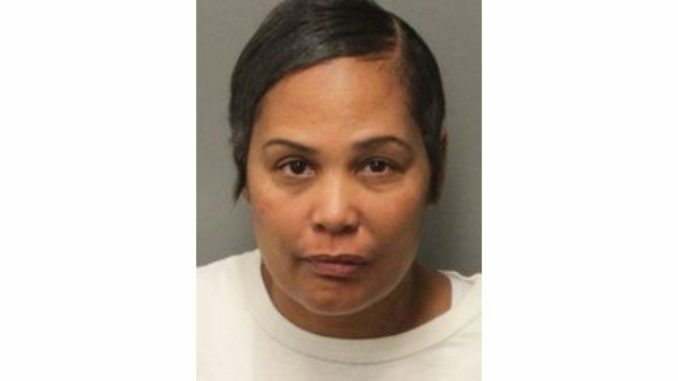 The 46 year old, who was arrested at her Riverside, CA home is charged with being a fugitive of justice, first-degree premeditated murder, attempted first-degree murder, and conspiracy to commit first-degree murder. Police say the attempted murder charge comes from Sherra’s previous attempt to kill her ex-husband. Prosecutors say Sherra Wright-Robinson orchestrated the murder of Lorenzen Wright in Atlanta. That never happened. Billy Turner pleaded not guilty to his charges. Sherra’s court date is scheduled for Monday in a California court. Memphis police plan to extradite her to Memphis this week. Police say they received tips last summer on Lorenzen’s case. They followed up on the information and the evidence led them right to Sherra Wright and Billy Turner. 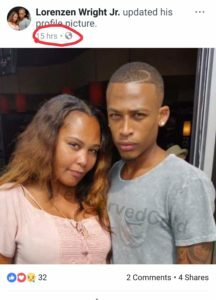 As previously reported, Sherra Wright and Billy Turner were friends on social media, worked in the same church, and Billy’s lawn service once serviced the Wright family’s lawn, reportedly. In 2015, Sherra Wright led service once at the church Billy served as a deacon for 10 years. Sherra shares 7 children with Lorenzen, including a 11 month old daughter who died after Sherra found her not breathing in her crib in 2003. Sherra had just recently moved to Riverside, CA. She’d previously sent her children to live with her brother, Marcus Robinson, a military veteran, in Wildomar, CA prior to moving to Riverside for a “fresh start”. The children reportedly lived in Wildomar, then moved back to Memphis for 2 years, and Houston, TX before settling in Riverside, CA. Sherra was arrested last night at her Riverside home. This is Sherra Wright-Robinson being put into a squad car last night in Riverside, California. She has been indicted for first-degree murder in the 2010 death of her ex-husband #LorenzenWright. Sherra’s children with Lorenzen are standing by their mother and are publicly supporting her, to the dismay of Lorenzen’s fans. 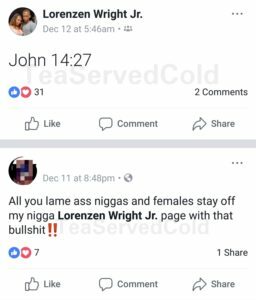 Sherra’s daughter Loren Wright, allegedly temporarily shut down her Facebook page after the backlash of publicly supporting her mother through her father’s murder case. I’m glad there’s dissolution on the horizon. Lorenzen Wright’s unsolved murder seems to have divided Memphis somewhat. Wright-Robinson-Robertson supporters say there’s more to the story and that she’s being set-up. Mrs. Marion does not agree. I hope justice is served.